Alternatives philosophy is all persons have the right to live in a loving, caring, safe and secure environment. We support victims through the initial crisis with the ultimate strategy of helping them achieve abuse-free and financially independent lives. In recognition of the complex needs of victims, we draw upon the resources of local communities to support victims in their quest for peace and security. Our services are comprehensive and collaborative. 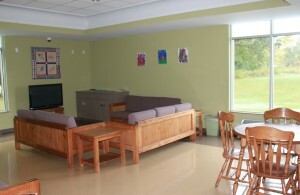 The basic purpose of the shelter is to provide safety for victims of domestic and sexual violence. However, in their mission to eradicate domestic violence, they also strive to use the shelter stay (generally around 45 days) to give victims the tools to break the cycle. 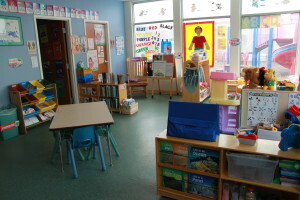 They offer help in three areas: education, prevention and intervention (these program areas also address all three components of the organization’s mission). In July of 2000 the shelter began using the Family Development Case Management model, which was developed by the University of Iowa. This is an asset-based model which helps victims to see more than just their needs. They use thirteen life areas that are critical to a family moving toward self-sufficiency, and the case managers help a family set goals and measure progress in these areas (each life area is measured on a 5 grade scale). This helps to keep both the staff and residents focused and also provides measurable outcomes, beyond just counting beds used and other output focused methods. One of the keys to success is strong collaborative partnerships. Alternatives Incorporated intentionally seeks out partners who can deliver services that the shelter residents need. For example, they have a partnership with Ivy Tech to staff the education and employment training center that is a part of the shelter. 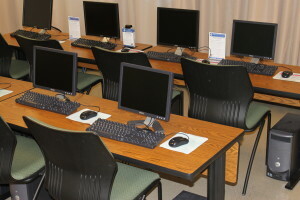 The center has computer stations and staff are available to help with writing resumes, conducting mock interview, etc. Many of the women at the shelter earn a certified nurse assistant (CNA) certification while they are in the shelter, so they are able to find a good job in a secure environment when they leave the facility. Jana arrived at the shelter with her three children from a nearby county. She was overwhelmed, and not sure that she would ever be able to make it on her own. Jana enrolled in CNA classes, received her license, and has moved her family out of the shelter into affordable housing. She and the kids are thriving, and were so grateful that some shelter volunteers provided furnishings for her new apartment. A year and a half ago, the shelter implemented an “empowerment” model that was developed by the Missouri Coalition Against Domestic Violence. Rather than trying to impose a lot of rules and structure, this model allows the women the freedom to take initiative and make decisions. Often the women arrive fearful of making decisions on their own. By allowing them to take responsibility for things like keeping their living areas clean, the women begin to feel empowered to make decisions and take initiative. Another partnership with government housing programs allows residents who move from the shelter to one of the five on-site transitional housing units to receive a Section 8 certificate after living in the unit for one year. These certificates are portable and allow the families to have better housing options when they move out on their own. Alternatives Incorporated works with other area shelters to try and locate beds for families in need. Despite their collaboration, need continues to outpace supply in Central Indiana. The shelter has been over capacity all year, and it is a challenge to house as many families as possible while maintaining a healthy environment for those who are being housed. 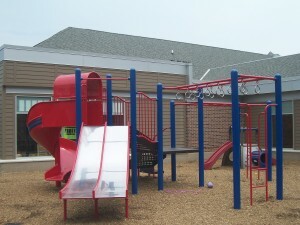 Funding is provided by government programs, the United Way, other grants and individual donors. While charitable giving has begun to rebound since the recession, securing adequate funding is always a challenge.